Talk about a grand opening! 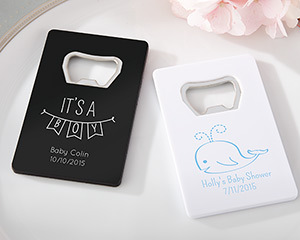 Your shower to toast baby's arrival will always be remembered when friends use this personalized Kate Aspen bottle opener baby shower favors. Customize them in your own special way with your new bundle of joys name and birthdate or party details.